The best day trips from Stockholm for visitors are the ones that fit well with your trip. One size does not fit all. The following ideas for day trips from Stockholm cover the interesting history and charming cities, while some day trip ideas simply offer a relaxing day in southern Sweden. The romantic town of Gävle, Sweden, is only about 100 miles north of Stockholm which makes Gävle one of the best day trips from Stockholm. The town offers attractions, shopping, art, and Sweden's best chocolate! When it comes to Gävle's natural beauty, the rivers of Gavilan and Testeboan bring life to this quaint city on ​Sweden's east coast. The island of Gotland, Sweden, is found off the east coast of Sweden, about 125 mi (200 km) south of Stockholm. You can get to Gotland from Stockholm by car and ferry, or by air. Gotland is famous for its long sandy beaches since the island is one of Sweden's best beach destinations. Then there's bicycling and hiking, 94 beautiful medieval churches, and the town of Visby, a UNESCO World Heritage site. Yes, you can plan a day trip from Stockholm to the Finnish capital Helsinki. Just don't plan on taking the 16-hour ferry, instead use one of the 1-hour flights across the Baltic Sea to turn it into a quick hop across the sea. Helsinki is a very beautiful and interesting city and is definitely worth a visit, if only for a day or two! Uppsala is an interesting city with lots of historic buildings, romantic little cafes, and vibrant nightlife. 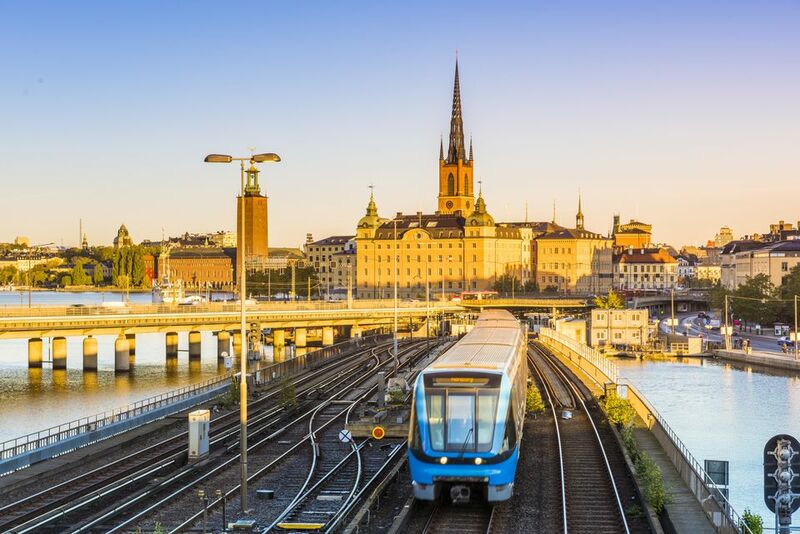 To get from Stockholm to Uppsala (or from Uppsala back to Stockholm), most take the twice-hourly train from Stockholm. Make sure to see Uppsala Cathedral and Uppsala Castle, as well as the pre-Viking, prehistoric burial mounds in the old part of the town. Ski resorts in Sweden aren't hard to find, but there are a few that are outstanding and offer a great wintry experience. During the summer, they offer hiking, cycling, and various outdoor sports. Check the Swedish weather before you visit one of these ski resorts in Sweden. It's at least a ​4.5-hour drive though - depending on which one you want to visit - so you might want to start your day trip early in the morning, or plan to stay overnight. To be able to fit the city of Malmö into a day trip from Stockholm, you'll have to fly there, which only takes an hour and is quite affordable. (Driving takes six hours.) Just pick 2-3 of the attractions in Malmö for your day there, and you'll be all set for a great day trip. A day trip from Stockholm to Göteborg also requires air travel due to the distance involved. But it's easy. Just hop from Stockholm to Göteborg on one of the many 55-minute flights each day. One of the best day trips from Stockholm if you want to relax a little and enjoy a little boat tour. Many visitors believe that the Gota Canal leads directly from Stockholm to Gothenburg. This is not true - the Göta Canal ends at the town of Mem, almost 150 mi (240 km) south of Stockholm. Drive south on the E4 for just about two hours and you'll be at the beautiful Göta Canal. Bring your camera.